Italian composer Antonio Vivaldi’s Le Quattro Stagioni (or The Four Seasons) is one of the most famous and popular works of the Baroque era, if not of all classical music. The four concertos, each signifying a season of the year, have now been recorded by the chamber orchestra Sinfonietta Rīga and have been released on the album Gadalaiki (Latvijas Koncerti, LK 026, 2016). In addition to the Seasons concertos, the album also includes three of Vivaldi’s sonatas for violin, cello and harpsichord – the Sonatas in A major (RV 31), C major (RV 1) and C minor (RV 6). The works are performed by Vineta Sareika (violin), Guna Šnē (cello) and Estonian Reinuts Teps (harpsichord). The CD booklet includes notes on Vivaldi – not just biographical information about the Venetian, but also information about his music’s place in history and how his music had been largely forgotten for years and was rediscovered by scholars in the 20th century. The notes also include commentaries on the works themselves, and also include Vivaldi’s original poetic notes on each of the movements. 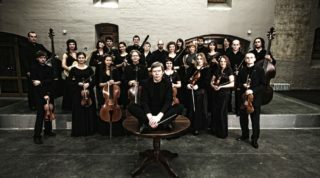 Sinfonietta Rīga, led by conductor and artistic director Normunds Šnē, will be participating in many festivals in the summer of 2016, including the Pärnu Music Festival, the Cēsis Art Festival, and the Salacgrīva International Classical Music Festival. For further information, please visit the Sinfonietta Rīga website and the Latvian Concert Agency website.